Fashion world is getting bigger and better with each passing day. 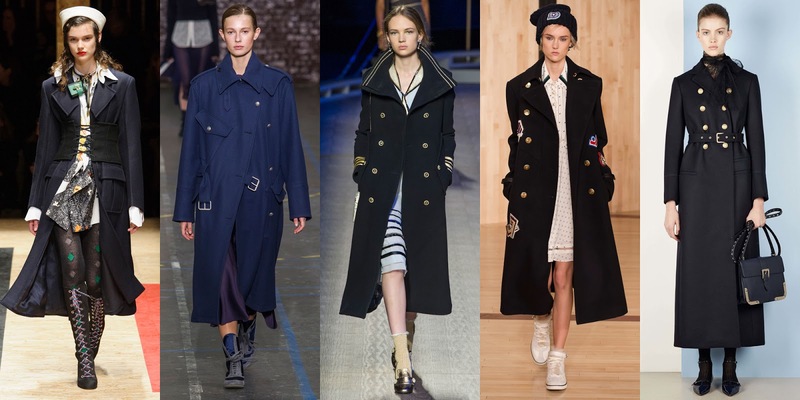 From runway to streets, you can see a glimpse of it for that utter inspiration you have been looking for while dressing up a bit differently. If you are bored with your regular styles in winter, take this moment as an opportunity to revamp your look for these chilly months ahead. Borrowing something from the old look, adding a dash of something new with a pinch of on point accessories and attitude will work just right for you. 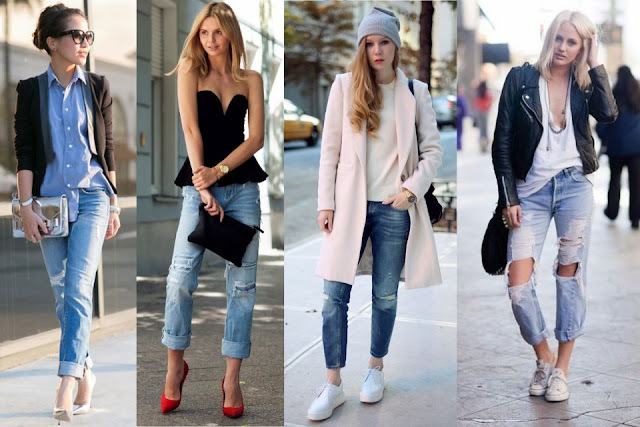 Let's get started with the popular styles that you can try in Winters this year! 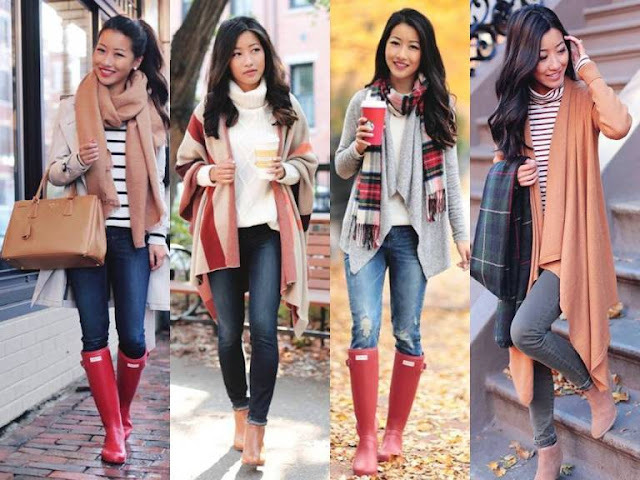 From ankle length to knee length, you need to try all those booties with your different winter outfits.You can wear boots with skirts, dresses, jeans, leggings, jegggings and shorts while looking fabulous. While being an awesome stylish neutral tone, grey can help you tone down or perk up any winter style. It is not as boring as those dull colors we usually wear during winters yet not as bright as neons so you feel weird while walking on the street. This all time favorite style is not going anywhere. Add it to your winter look as an additional top layer while taking a walk in the snow or while enjoying a late winter night outing. Military and nautical styled trench coats are quite in trend these days. Give them a try! Unleash your inner superhero or vampire with these capelets! 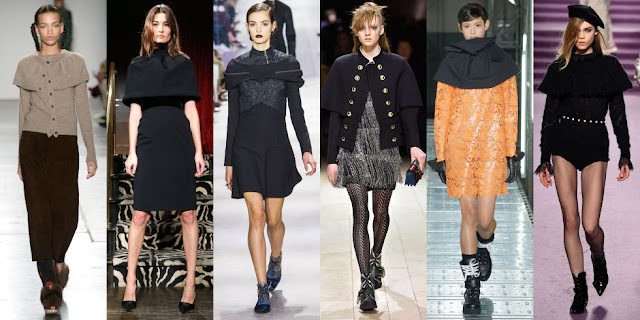 dresses, jackets, stoles, scarves and cardigans with little capelets surrounding them can be your next big thing this winter season. Style them the way you like to look fabulous. Denims, denims and denims, the more you have the less they seem. These babies are not going anywhere even in winter season. Pair them with oversized sweaters, sweatshirts, trench coats or moto jackets for different look every day! Waterfall lapel jackets are quite in trend for sometime and looks like they are going to stay here at least for sometime now. If you still haven't added these to your wardrobe, this is the time. If you are looking for a toned down yet powerful look for office in winters, blazers paired with fitted jeans or trousers and shirt or tee will do that for you. You can wear them with calf length boots, heels or bellies. Accessories are a must for winter season look. From stoles to beanies, you can wear them all with your personal touch. Stay cozy and warm in style! Who can say no to these babies? Get the hottest fierce style with studded or non studded motorbike jackets. Available in an array of styles and colors, you can always find one that suits your body and your choice. Who says hats are out of fashion? Grab'em and pair them with your winter outfits. It is the best way to stay warm while looking your utterly fabulous self. Hope you loved all these styles. 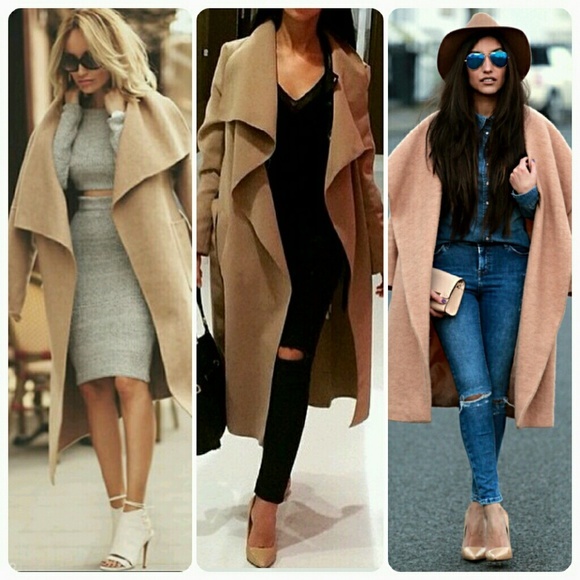 Do share your thoughts on these or any other style that you will be carrying this winter season.